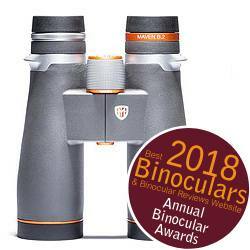 With the London Olympics almost on us, I got a question yesterday from someone looking for the best binoculars to watch sailing with as they were going to a few of the races. 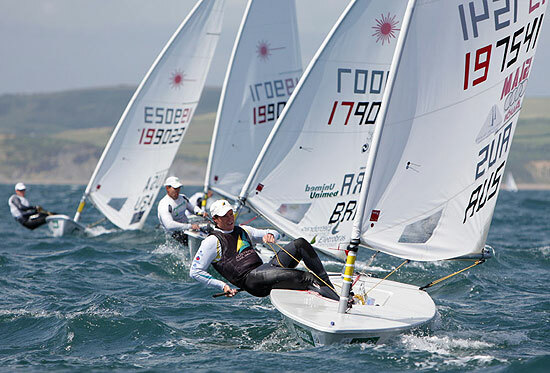 I thought that I would share my advice to them on the site as it may be useful if you are going to watch sailing, rowing, canoeing, surfing, windsurfing or indeed if you just want to get a better view of any boats and ships from the shore. If you are looking for binoculars to take on board a yacht or boat, then your requirements will be quite a bit different to those who want to watch you! If so, then please check out my page on Marine Binoculars. 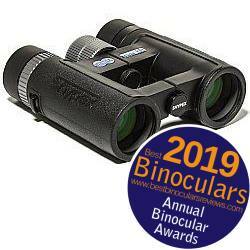 So as you can see in general we will be looking for a binocular that is good for observing fairly large, easy to find and relatively slow moving objects at medium to large distances in wide open spaces with generally fair to good lighting conditions. However I am not suggesting that you have to spend a fortune on your optics either. Whilst it is true that the very best binoculars are also quite often some of the most expensive, there are also some really very good pairs of out there these days that won't cost you much more than your ticket to the event, yet you can use them for many years to come, safe in the knowledge that the view you get through them is of a very high quality. 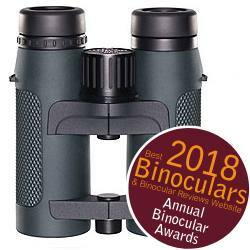 To give you an idea, take a look at some of the Best Value For Money Binoculars that I have reviewed in different price categories, or take a look at my winner for the overall Best Value For Money Binocular Award. This is basically the width of the image that you can see when you are looking through your optics. Most bird watchers, consider it to be very important because they are mostly observing small, fast and sometimes erratic moving birds and so a nice wide field of view makes it easier to quickly locate them. Because you will be using your binoculars to view fairly large, slow and predictable moving yachts, a narrower field of view may not be that much of an issue here. As you can see from the image above, if you have a lower powered pair of binoculars with a wider field of view, you can see more of what is happening at once, but because the image is essentially smaller, you view less detail. On the other hand, a high power magnification helps you see more detail, but you see less of the overall picture. So ideally I you need to strike a reasonable compromise between enough power to get close enough to the action, but not so much power that you cant see enough of the action. Exactly how much power you need and how wide a field of view that is needed will depend a lot on how close you are to the action, but as a general rule, 7x and 8x are seen as fairly low powered and 10 - 12x as fairly high powered on normal hand held binoculars. As you increase magnification on most optical devices, including binoculars, your depth of view decreases. This means that objects at shorter distances away from the one that you are focused on will not be in focus an you will have to focus your binoculars more often as you flip from one boat to another (assuming they are different distances away from each other). For me this is only a very minor issue, unless you are going to the extreme and looking at a super high powered pair of optics as focussing with a good pair of binoculars is no problem at all and because the yachts you are looking at are relatively slow moving from a distance, you are not lightly to miss seeing them. Assuming that you will be hand holding your binoculars, a higher magnification image is shakier and harder to hold steady because any hand movement is magnified as much as the image is. With very high powers, the image becomes almost impossible to keep still and the only way to stop it is to mount the binoculars on something like a tripod or to get binoculars with some sort of image stabilization. If you are interested, take a look at the excellent range of Canon Stabilized Binoculars, which may be a good option if you really want a very high powered pair of binoculars or if you have unsteady or shaky hands. I wont go into the exit pupil in detail here, as you can read all about it here. But assuming that all else remains equal, the exit pupil will decrease as you increase the magnification and what this basically means is that less light will get to your eyes. This is very important if you are using your binoculars in situations where the light is often very poor, but for most sailing events the light should at least be decent and so unless you plan to get an extremely high powered pair of binoculars for watching sailing, I would not worry about it too much. So as you can see, you need to take into account the negative affects of increasing the magnification to get a reasonable balance. Taking all these main factors into account, for hand held sailing binoculars, without any electronic image stabilization, I would be looking at magnifications of around 10x with probably 12x being my absolute maximum. But for my money, 10x makes a nice compromise between field of view and power and will mean that your binoculars will also probably be useful for a whole range of uses and not just sailing. For most general sports binoculars, I usually recommend that people try and choose a fairly compact and lightweight pair as they are just that bit easier to carry to the event. But compacts do have their drawbacks. So for some users, a mid or full sized pair will actually be a better option for your sail watching binoculars as most of these are still small and light enough to be stowed away in your bag and taken to an event. If however you are lucky enough to have a view of the ocean from your balcony or other static point, then you may be best opting for a large or even giant pair of binoculars that you can then mount onto a tripod achieve the most stable view possible. Often need a tripod for best results, this is both good and bad - fixing a binocular onto a tripod allows for the most stable views and you can view for longer without fatigue. A well balanced, larger and heavier pair of optics will resist moving better than a compact one and so are often easier to hold steady, which only really becomes a consideration if you plan on using using a higher magnifications. Which as we have already discussed we probably are considering, so this is worth keeping in mind when choosing what size you should get. Larger devices are also far easier to use and more comfortable to hold than tiny compact binoculars, especially true if you are using thick gloves in winter ... which will hopefully not be an issue when watching sailing! If you mount your binocular onto a tripod the issue of image stability totally disappears. However this is only really feasible if you are viewing from a static location. With all other aspects being equal, the larger the objective lens, the better the resolution in the image. How much resolution you need depends on how much you're going to magnify an image. For magnifications of 8x, 10x or even 12x, a 42mm objective lens will usually provide plenty of resolution and there is no need to exceed your eyes' ability to see. The reason some people might choose larger objectives would not be for increased resolution but for more brightness in poor light and bad light or for use at night for astronomy. 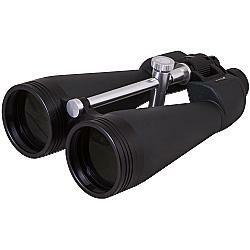 At the same magnification larger size binoculars tend to have a wider field of view than smaller ones. As we have already discovered above, a really wide field of view is probably not that critical in a good pair of binoculars for sailing, but it is always nice to get a fuller picture and if your choice is between two, perhaps the FOV may swing it for you. Larger objective lenses let in more light, so with all else being equal, they will produce a larger exit pupil and have the potential to produce a brighter image. 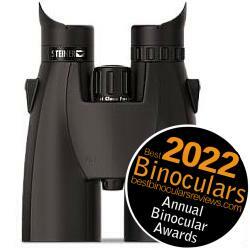 Once again and because most sailing events will occur in pretty good light conditions, this may not be critical unless you are planning on going with a very high magnification (12x or Greater), in which case it would be better to choose a binocular with fairly large objective lenses. If you are viewing from a static position (like your balcony) and don't need to carry your binoculars very far, you could opt for a large or even giant pair of binoculars with a high magnification and then mount onto a tripod. 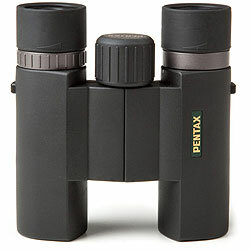 The binocular below are ideal if you don't need to carry them about much, for instance if you will be observing from the balcony at your home. Whilst some can be used from the hands, for best results these instrument would ideally be mounted onto a tripod. For more details take a look at my guide to Binocular Tripod Adapters. I the binocular accessories area, I also have a section on tripods and tripod heads that I have tested that would be ideal.